Where and how do you start writing about someone with a 30-page CV like Professor Tshilidzi Marwala? At the age of 36, Marwala is one of the youngest professors of engineering in the country. Marwala, who comes from a small village in Venda, is Professor of Systems and Control Engineering at the School of Electrical and Information Engineering at the University of the Witwatersrand. Despite his success, Professor Marwala has remained a humble person. “I come from a humble background. My father is a teacher and my mother an administrator. They taught me that you can have talent, but without working hard you will end up nowhere,” he said when asked about his achievements in the academic world. “I have always been inspired by people around me. Of the 126 learners in my Grade 12 class, 10 have PhDs. Others are still studying, while some are in the highest senior positions in big companies,” he said. Marwala has also designed a computer that “finds” missing information from a database, like a record of your medical information. For example when you are pregnant, doctors will ask you a number of questions about your family to see how it can affect your child. But sometimes the doctor doesn’t ask everything and this leaves gaps in the database. The computer is able to understand all the information and will work out what is not included in the database, he said. Marwala has done a great deal of other research and has written and published over 170 research articles and journals. He has also won many awards both nationally and internationally. Marwala, who is married and has a four-year-old son, is a director and a member of the board of directors of many companies. He teaches more than 30 PhD engineering students. 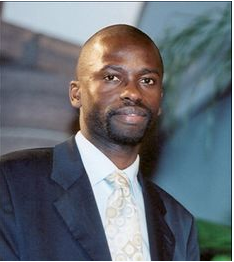 Tshilidzi Marwala was born in Duthuni, Venda in Limpopo in 1971 and matriculated in Sibasa in 1989. He has studied in America, the University of Pretoria and at Cambridge University in England and completed his PhD degree. He became Professor at the University of the Witwatersrand in 2003 and is currently also chairperson of System and Control Engineering in South Africa. He has previously worked at the CSIR and for South African Breweries.